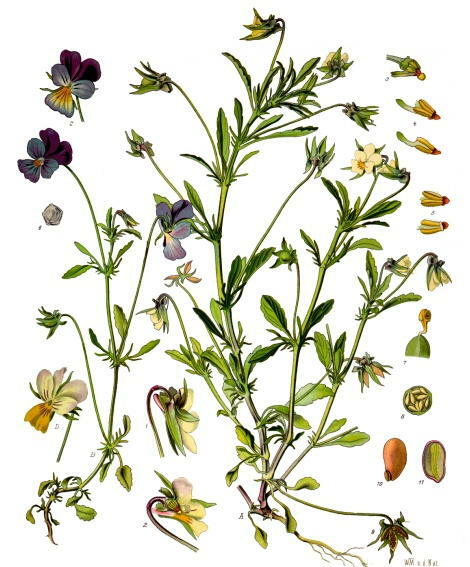 The pansies we think of now, of course, are not the flower Ophelia is describing here, but instead the precursor to that hybrid garden pansy V. tricolor (modern pansies were not introduced until the 19th century). In fact the name Pansy comes from the French word “pensée” which means thought. But of course you don’t care about any of that illustrious history, do you? No. You just want me to get to the dirty parts. Well, fine then. Don’t you just get the feeling that everyone had syphilis at this time in history? And because of its association with Cupid and his arrows, it became a flower of lustful lovers as well. Trust me, folk names like “kiss her in the buttery” and “come and cuddle me” don’t happen to flowers who are exchanged between lovers who like to simply hold hands. 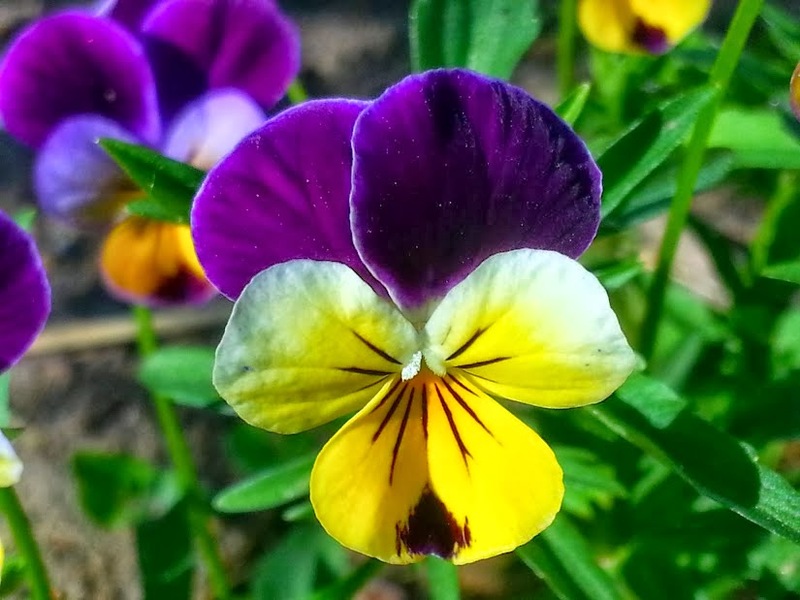 However by the Victorian period something strange happened to the public’s perception of the wild pansy. It became a flower of chaste and untainted love, unaffected by silly things like lust and desire. This transition happened in part by the growing advances in botanical science. It was discovered that certain species of plants (Viola being one of the largest groups) actually produced seeds through cleistogamy (or automatic self pollination). Plants that produce cleistogamous flowers do not need to use resources to produce colorful petals or nectar or any of the other seductive tricks they use to lure pollinators. Instead, the cleistogamous flower never even opens. Once it is fully formed, the pollen is transfered to the stigma within the closed flower and seeds develop. Imagine the wonder the somewhat repressed and overly proper Victorians must have felt when they learned this fact. Here was a flower that didn’t need to engage in any of that birds and the bees nonsense! Reproduction without any outward appearance of sexual behavior! Finally, a flower that was a chaste and pure as the best of them. How strange that the entire symbolism behind a flower can change that drastically over a few hundred years.